Do you want to learn about the path to become clinical psychologist? Before you start researching the steps that you need to take to get licensed in clinical psychology, you need to understand that you will need to dedicate time in school and money to earn your degree. You must be a motivated and a dedicated student who keeps your goal in the back of your mind. The first step to becoming a clinical psychologist is earning an undergraduate degree. There are hundreds of different psychology programs that you can major in, but choosing an accredited program is imperative if you want your credits to transfer when you are studying for a graduate or doctorate degree. When you are studying to earn a Bachelor’s in Psychology, chances are you will take a very general degree without a specialty. While the courses that you take are foundation courses, it is important to take your grades seriously. These are, after all, the grades that graduate schools will look at when reviewing your application. Do you know how competitive graduate programs in the field of psychology are? If you answered yes, you may be underestimating just how much competition you will face. To be considered over the others, showing the admissions council that you have participated in field-related programs is important. You can work with your professor on research projects, complete internships, become a Teaching Assistant or stay active in psychology clubs. All of this will help your application and your resume. Almost all graduate schools require that you submit a Graduate Record Exam with your application for admissions. The GRE scores may play a role, but the scores are not solely what a decision is based off of. Compare several different graduate programs in clinical psychology. Most programs will take about five years to complete, and you will need to prepare for a dissertation while you are still studying. Most schools require that you have your doctoral degree in Psychology before you can test for licensure. Be sure to check state licensing requirements before you select a program, but be aware that all states require you to take a program accredited by the American Psychological Association. By checking for accreditation early, you can avoid taking credits that will be overlooked. Only after you complete your schooling and the dissertation will be you able to apply to test for your state license. Once you pass the licensing test, you are ready to start practicing clinical psychology without working under the supervision of a psychologist. Expect to spend at least four years earning a Bachelor’s, and another five years completing a post-doctoral program. This will ensure that you meet the requirements of all states so that you can sit for the exam. 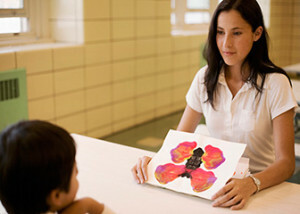 Study the growing and ever-advancing field of psychology, and become clinical psychologist by traveling a direct path.